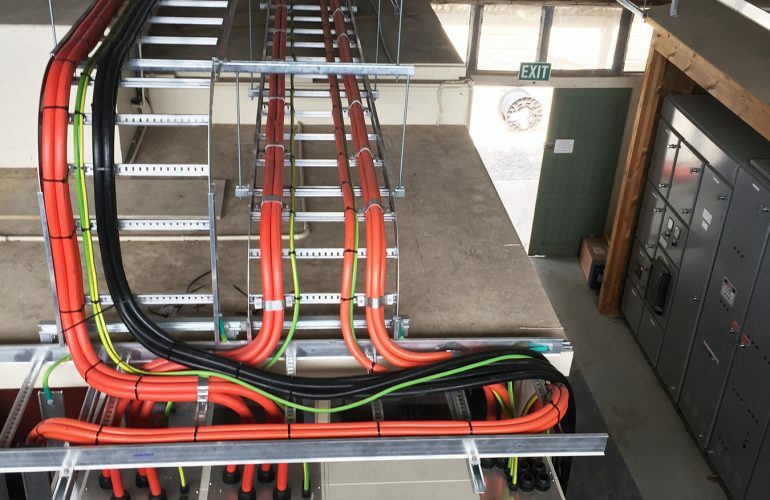 One Electrical have been awarded the Electrical and Control Systems component for the Waipa District Council Water Treatment Plant Upgrade at Karapiro by Spartan Construction. Our scope of this project includes the supply and installation of a new Power Distribution Cubicle, Generator Connection Cubicle, Power Factor Correction Unit, Motor Control and Distribution Centre, PLC, Earthing Systems and Variable Speed Drives. We will also install new Service Mains from the existing 750 kVA Power Transformer, upgrade the sub-mains to the existing Motor Control and Distribution Centre and install sub-mains to the new Plate Settler Water Treatment Plant. The project will integrate many new field Instruments into the existing plant, which was built in the 1960’s, and includes the installation of new raw water intake pumps and pontoon from the adjacent lake Karapiro. The plant will leap from last century to modern day with replacement bulk storage tanks, new and additional dosing pumps, Variable Speed Drives, Instrumentation and SCADA. Cable Systems in the form of Ladder Rack, Cable Tray, Underground Pits and Ducts will be installed with accommodation for future works. A new building will house the Plate Settler Plant and incorporate a switch room for the MCC, PLC and Variable Speed Drives. As is the case with most essential infrastructure projects, we will build, test and commission this plant with the existing systems and processes fully operational. The transition to bring online the new plant and equipment requires thorough planning, communication and a robust set of procedures to mitigate the potential for unexpected shut-downs or plant failures. We are proud to be associated with this exciting project. The team at One Electrical get great satisfaction from upgrading and installing plant up to industry standard, working with new technology and having an opportunity to assist in creating a safe and reliable facility.